I believe Cambridge already has a guided busway. What's the difference between that and a trackless tram? Excellent question! If you find out let us know! So a large downside of the GB (among many) is that the guide track stops at the city edge and it is... just a bus. This plan appears to call for tunnels (in a swamp...) which would at least fix that issue; the roads in the city are very congested. I may be too cynical, but I don't know if that non-tram is any less of a boondoggle than the last time someone suggested something like that. We desperately need reasonable public transport, but the big problems seem to be, firstly, getting into the city centre at rush hour, without reducing car lanes, some sort of impossible tunnelling project, or... something. And secondly, we need transport which is reliable and ideally exists in the evenings and weekends. And has reasonable non-gotcha tickets. And will be used by people who have a choice, not only people who take 2 hours over a journey because they have to. Now that is slightly better along the guided busway, but it's still not *good*. I'm not sure any of the things proposed solved any of those problems. I've heard, though can't vouch for, that the guy holding the weird county mayor job, wants to make some sort of splashy innovation, hence these plans as opposed to something a bit more down to earth. People spent all the time the guided busway was being built quoting the monorail song from the simpsons, and here we are again. I guess to be fair, there is more national funding for something like that than "run more buses until they actually run regularly", and the busway we got is reasonably useful for people who can use it. But it doesn't seem to address the problems most in need of addressing. My feeling is that all of that would cost less than tunnels in a swamp, but I haven't rigorously estimated it. Oh yeah, add better infrastructure for tourist coaches. It sounds rather splashy to me. I don't see the point of a bus being magically guided by paint on the road over just A BUS. Also, some idiot is going to spill white paint all over the road or re-draw the lines for a joke. Isn't that a trolleybus then? 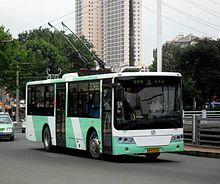 A trackless tram has the advantage over a tram that it can leave the track, either to go around a blockage, or do a lower-frequency section of the route. The disadvantages include needing nearly as much work on foundations etc (always going along exactly the same line), and rubber on tarmac is less efficient than steel on steel. Trolleybuses filled pretty much the same niche after trams went out of favour the first time round- bus shaped things running on standard wheels but picking up power off an overhead line like a tram. In Berlin, all the buses are going electric, due to a city centre diesel ban. That might be a better idea than trolleybuses? But they would have to run regularly and be faste / convenient enough. I am very sure that retro-fitting tram / tramesque things / cycle lanes even if you could somehow dramatically widen the streets is HARD. Not sure, but apparently this was one of them. We had an Uber driver the other day who had retired from his courier company of 22 years four months ago and taken up driving for Uber three months ago because he was bored. He says he drives for just four hours during the middle of the day while his wife's at work; it gets him out of the house and lets him meet people. He was originally from Sri Lanka and had been in the Merchant Navy and travelled all over the world. Had a lot of interesting life experiences and perspectives to share.